The London Festival of Cabaret opens this week and runs for a fortnight across the city. Featuring a line-up from both sides of the Atlantic you can expect legendary names getting up close to a microphone, singing songs that they love (and may also have composed) and reaching out beyond the spotlight to share stories with an audience. Unlike a staged musical the atmosphere couldn’t be more relaxed – and over a cocktail or glass of wine, maybe with a bite to eat too, listening to an inspirational performer either singing beautifully or sharing a sparkling anecdote makes for a charming evening. 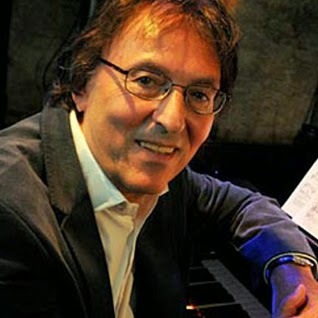 As the final preparations were being drawn up for Tuesday’s opening night, I caught up with Festival Patron and Oscar-winning lyricist Don Black to talk about his love for the art-form. JB: Don, what drew you to supporting the Festival? DB: I've always, for as long as I can remember, loved cabaret. When I was managing Matt Monroe, all those years ago, I used to go to those northern clubs and cabaret clubs which were rife in the '60's. Places like Talk of the Town, I used to love the atmosphere. When I started going to America a lot, I used go to all the cabaret places in New York. Lots of things drew me to these places. You would get singers there who sang the different songs, special material, witty songs. Songs you hear very often. No one in cabaret sings My Way or those out and out popular songs. You get some very, very interesting and intriguing artists. In New York I used to go and see a guy named Oscar Brown Jr., wherever he appeared. In fact I was discussing him only the other day with Van Morrison, who is a huge fan of his, so is Paul Jones, and many people. I used to go and see Matt Dennis who wrote great songs like Angel Eyes and Let's Get Away From It All. I just like that closeness, the intimacy of the cabaret room. I'm delighted that so much is going on in London, in cabaret. I go to the Crazy Coqs quite often along with the St. James and I go to The Pheasantry too. The other night at The Pheasantry I saw Charles Strouse, the man who wrote Annie and Bye Bye Birdie. Now, you tell me where you can go see a guy, nearly 87 years old, talking for 2 hours and sharing anecdotes about Jule Styne and Hal Prince singing his songs? Also, I really like the idea of them not being great singers! I like watching the song writers, like Strouse, who's not a great piano player, not a great singer. You get so much heart and so much emotion in those couple of hours. It's a different kind of evening. Cabaret really is a great love of mine. I recently saw Anne Reid at the Crazy Coqs. Now Anne is a great example of someone and she won't mind me saying this, who really is not a great singer. But she's a great actress, and therefore a great story-teller. JB: What are your thoughts on the younger cabaret artistes, as compared to those who do cabaret on the back of longer established careers? DB: What you get from young artists, that you may not get from the older people, is new material. You do get the younger people, they'll find a song from a failed musical. You think, "Oh isn't that beautiful." They can be full of surprises. But of course the more seasoned a performer is, the more they've got more to draw on and of course you can feel for them too. You are close up. So when you see a person in their 60's and 70's singing a song about years gone by or missed opportunities, you cannot help but be moved. It is very touching when you see Anne Reid, who's I don't know nearly 80 now, singing a Barbara Cook song. You get the goosebumps. And as I said about Charles Strouse, when he went into The Sun Will Come Out Tomorrow, I mean, god almighty it was phenomenal! I saw Mitch Winehouse at the Hippodrome a few weeks ago, Amy’s dad. He really put through with about a 12 piece orchestra, and he was terrific. So interesting and of course lots of anecdotes about Amy. It was very personal and also very touching. JB: So – is it about the songs or the story-telling? DB: Being a lyric writer I've always gone for the story teller. It's interesting because Tony Bennett's favourite singer and he’s often said this and it says a lot, is Louis Armstrong. Sinatra's favourite singer was Fred Astaire. These people aren't known for singing but they are known for storytelling. You hang on every word when these people sing. That's what I like about cabaret, you don't have to be the greatest singer, but you just have to get your story across. That's why with people like Lorna Luft, you hang on every comma. JB: Don, thank you so much for sharing your thoughts, and enjoy the Festival! Aside from cabaret, Don also spoke at length about his song-writing career and part 2 of this fascinating conversation will be published shortly. 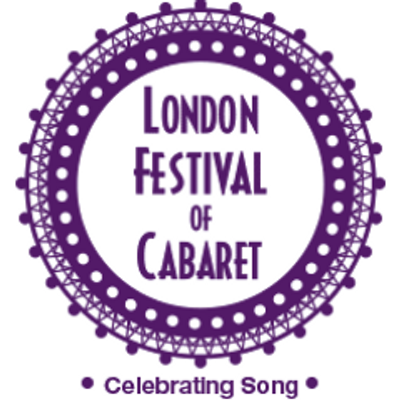 The London Festival Of Cabaret – Celebrating Song opens on 28th April and continues at venues across the capital until 11th May. 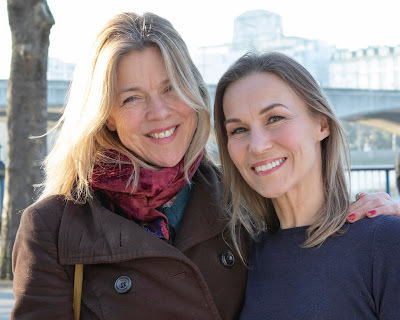 Confirmed artists appearing include Kerry Ellis, Barb Jungr, Janie Dee and Scott Alan (amongst many others) and you can also watch some of today’s younger stars such as Jamie Parker and Caroline Sheen branching out onto the capital’s cabaret circuit.